Welcome! My name is Delaney, and I am a psychic who specializes in relationship guidance. I have a strong empathic gift (as well as a little telepathy) that allows me to “peek” into people to discover how they feel and think, and what their motives/ intentions are. I essentially “interpret” internal languages, and dissect layers of consciousness—which results in crucial insights and answers that aid in determining relationship directions and solutions. 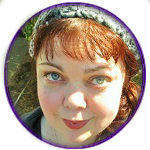 In addition to empathy, I am also clairvoyant and intuitive, and can assist with most life situations and topic areas. When I focus on people and situations, it is almost like being handed a book—information and impressions quickly flow into my head very much like reading, and flipping through pages. I am fast, detailed, and do my best to explain the reason behind things. You can expect honesty with what I see in situations ( because it is far better to prepare people for complications), and I am also non-judgmental. I utilize natural gifts that I have honed since childhood, and jump-in quickly with confidence. I only ask for first names, and your main questions ( again, it is like being handed a book, so it helps to know what “chapter” to focus on). The information that I provide flows, and is in-depth— you do not have to worry about brief or vague responses. I am also a very fast typist, and clients frequently tell me that they are surprised with how much information that they receive in a short amount of session time. I sincerely care for my clients, and want to see them achieve happy relationships and lives. My role is to provide you with insights and guidance that can assist you with your choices, and help you to accomplish positive outcomes. You do not have to fumble blindly through the dark alone. I am a professional psychic with natural gifts (empathic, clairvoyant, and intuitive). Additionally, I am a “dreamer”, and can also aid others in interpreting their dream messages. My gifts were evident to my family almost as soon as I started talking, I would fetch things people were thinking about, respond to things people were thinking, and talk about relatives who had died before I was born. My whole family has stories about my childhood “psychic antics”. Over the years I have extensively studied most spiritual and paranormal subjects, and also took many classes in psychology (which I have found to be useful in readings). I am a college graduate with a bachelor’s degree in speech communications, and a music minor. Professional Psychic Reader for almost two decades. Highly Rated (4.98 star average) Psychic Advisor on Kasamba since 2005. I was a member of the former Angelsplay Forum. I was screened/ tested, and performed weekly public reading sessions. MagicSOng is amazing, I had many sessions with her. She is 100% accurate but th last days it is hard to find her online. Anyone knows how can I talk with her?